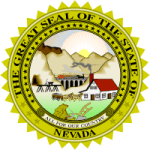 With help from the department of health and human services division of welfare and supportive services within the state of Nevada, you can enforce a child support order. Since every child support need both parents, regardless of whether they are together or not, the custodial parent has an obligation to apply for child support services. This is done to ensure that the noncustodial parent contributes to the care of the child. If such an agreement is violated, and the parent no longer makes those payments, then you can file a complaint. Step 2: Read through the opening statement and fill in the sections with the required information. Step 4: Find the address to your nearest office here at the child support section and send the filled form.